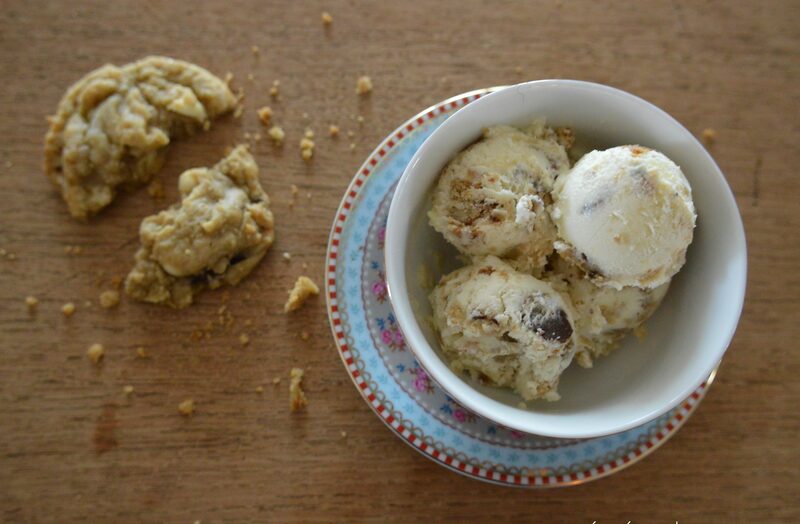 The solution to all problems: White chocolate Cookie Ice Cream! This is a very easy recipe which can be prepared in a short time. The only thing is, that you have to wait at least 6 hours until it’s firm! 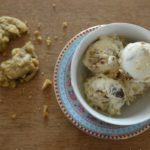 Hope you enjoy the ice cream and you can find the Chocolate Chip Cookie recipe here! Cover a pan with plastic wrap or provide a plastic box. Melt the sugar with the water on medium heat until it turns smooth into syrup. Now add the chocolate and stir in until melted. Let it cool completely (very important!). Separate the eggs. Beat the egg whites until stiff. Add the egg yorks to the chocolate mixture. In an extra bowl beat the heavy cream until smooth and stiff. Next step, combine the egg whites and heavy cream until it's a smooth mixture. 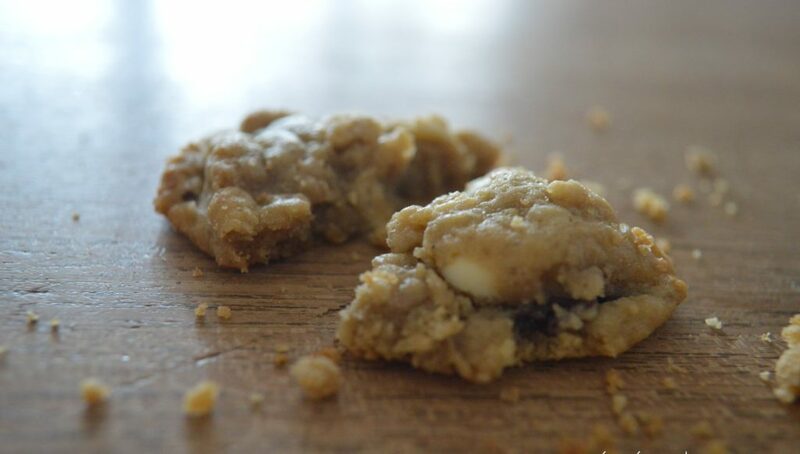 Crumble the cookies in small chunks and stir them into the mixture. Pour the mixture into the pan or plastic box. Freeze overnight or for at least 6 hours. 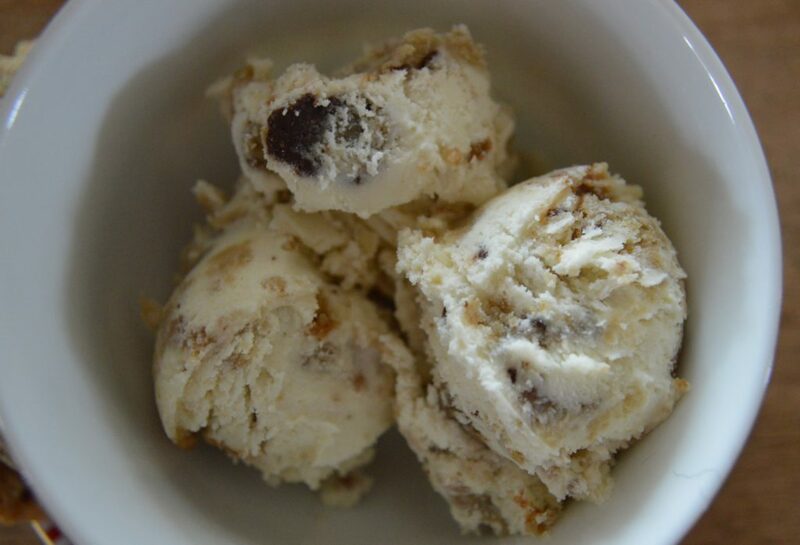 The taste of this ice cream always reminds me of my first trip to the United States. I haven’t tried B&J’s ice cream before in my life. So in front of a supermarket somewhere in New York City, it was the first time and love at first bite! Since then I am a big B&J’s fan! But of course I also love ice cream from other countries like Italy (recipes will follow), France (best lavendel ice cream) and Spain! Wundervoll! <3 Werde ich auf jeden Fall ausprobieren! 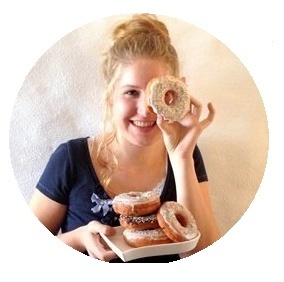 Nimmt man am besten selbstgemachte oder fertige, gekaufte Cookies?